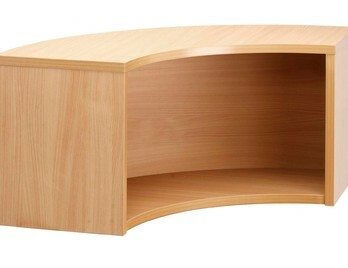 Our Denver rectangular base unit with side panels, available in Beech for a traditional look. 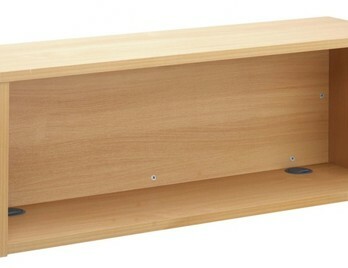 Includes two cable outlets in the desk surface for tidy cable management. Easy assembly and optional installation. These are the base units from the Denver range. 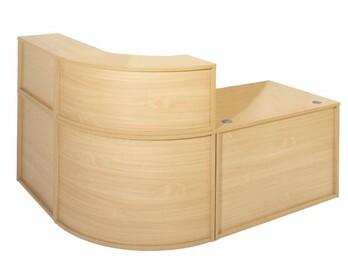 Constructed from Beech MFC panels. 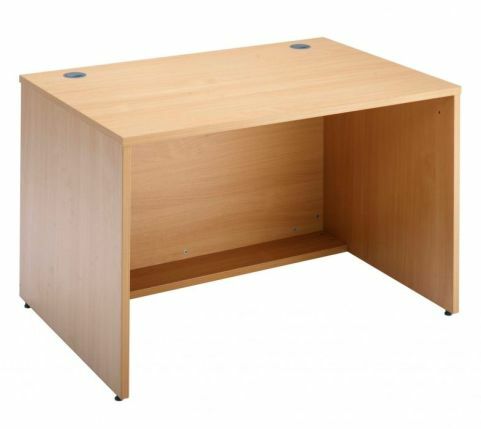 These reception units are an inexpensive solution for companies needing a reception desk but have a low budget. The desks feature a 90-degree curved unit, as well as two sizes of straight desks so that a variety of shapes can be made to suit your reception environment. A free space planning service is available and we offer installation for a small added charge.